Running a small business is not an easy endeavor. But as we all know, small business entrepreneurs are the lifeblood of our local and national economy. Small business owners work tirelessly to get their businesses up and running, and the work doesn’t stop once they open their doors for business. With all that goes in to running a small business, there are a few important aspects which tend to get lost by the wayside. For example: does your small business know what to do when tax season comes around? Is your business budget fine-tuned enough to ensure that your profits are exceeding your expenses? How are you currently handling your payroll and other bookkeeping problems? These are all questions which can be answered by a local CPA firm. Small businesses around the globe can benefit from the services of a CPA firm for a number of reasons. In this blog, we’re going to be pointing out a few of those reasons in order to help you understand why you shouldn’t entrust the financial livelihood of your small business to just anyone. 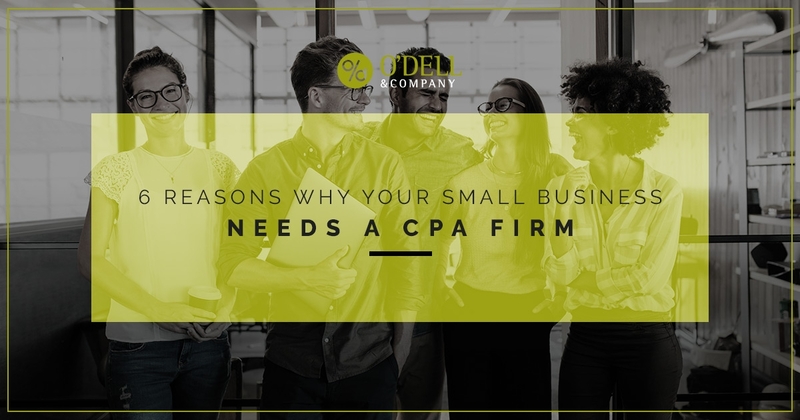 At O’Dell & Company, our Fort Collins CPA firm has decades of experience in helping small businesses both locally and nationwide to achieve their goals and streamline their operations. Keep reading to learn more and visit O’Dell & Company today to understand how we can help you. Let’s face it: tax season is a headache for everyone. The process becomes even more complex when you factor in the profits, deductions, and expenses from a small business. As you may well know, every business decision you make can result in unanticipated tax implications. That’s where a local CPA firm comes in. A trusted CPA firm can help you plan and optimize your tax structure to help save you time, money, and headache. Tax planning for small businesses is one of our staples here at O’Dell & Company, and the time to optimize your structure is now. Contact us to learn more. As a business owner, you have enough on your plate. Let a CPA firm worry about the annual changes in tax laws, which can be difficult to grasp. That way, your CPA can implement new strategies in order to help you keep more of what you earn. Do you have reliable bookkeeping software? Or perhaps a more important question is, do you have the time and bandwidth to focus on your bookkeeping regularly? Either way, a CPA firm can streamline your back-office operations with customized business bookkeeping packages and software like Quickbooks. With cloud services, your business gets portability, security, collaboration, and efficiency with access to real-time data from anywhere. Let our Fort Collins CPA firm focus on the cents so you can make dollars — no matter if you’re local or national. A CPA firm helps you strategize for the success of your business. Think of your CPA as a business coach, mentor, and friend who will dig deep into your business, examine trends, and forecast changes. A CPA firm can only help you if they have the knowledge and experience to do so. At O’Dell & Company, our Fort Collins CPA firm features certified accountants with decades of combined experience in helping businesses of all sizes grow and thrive. Contact O’Dell & Company today to find out how we can help your business do the same.